There's a lot of confusion around with regard to concealers and correctors. This post deals solely with under-eye concealing. I will do another blog on general concealers at a future date. There are a few different ways to correctly conceal the under-eye area. For younger skin, and for skin with no darkness, no puffiness, no dark circles or redness, no pigmentation issues, then a standard liquid-formula concealer will probably work just fine. For more mature skin (and by this I mean from mid-30s onwards, if not sooner), or skin that does have pigmentation, or puffiness, or redness, or more noticeable dark circles, you may need to use a corrector first, then a concealer over the corrector. So what's a concealer and what's a corrector? Correctors are used to "colour correct" specific areas, for example, redness can be counteracted with a yellow-toned corrector/concealer, whereas blueness is best corrected with a peach-toned concealer. Correctors go on first, underneath concealers. They help to neutralise undesirable pigmentation, so that when you use a concealer, this undesirable pigmentation is no longer showing through. Concealers are used to help "blend" or lighten an area so it's the same tone and shade as the rest of your skin (or foundation). Some confusion can be caused by the fact that concealers may be used as very minor correctors, if they are used on skin which doesn't need correcting first, for example, using a peachy-toned concealer to disguise very minor blueness around the eyes on a person with otherwise yellow-toned skin. 1. If your dark circles are not bad, then you can just use a pink or peach-based concealer (skipping the corrector step) - as this has an undertone that will help neutralise the pigment in the dark circle, as mentioned above. 2. If your dark circles are more pronounced, or perhaps your face shape is such that a shadow is naturally cast there, use a corrector first, then a concealer. In this case, you'll need a specific colour corrector (see below for more tips on what corrector to pick), and a concealer in the shade and undertone of your own skin. Apply your concealer next. Because you've neutralised the underlying colours of the dark circle, the concealer will then help your entire under-eye area to look the same colour and tone as the rest of your skin (or foundation, if you're using it). Think of it this way: supposing you have a blue-purple dark circle, and you have a pale skin with a hint of a yellow undertone. If you only use a concealer on top of the dark circle and the rest of your under-eye, then the part of your under-eye that isn't affected by the dark circle will be fine (as the concealer will help "blend" this into the rest of your skin/foundation), however you will still have some blueness showing through from underneath the concealer on the dark circle area. But if you first neutralise this blue, then put your concealer on top, you will stand a better chance of your entire under-eye area looking colour-homogenised. When you are colour-correcting, make sure you only place the corrector on top of the area that you need to disguise - this is important, because if you blend it out everywhere, you're making the same colour change to the rest of your skin as well as to the dark circle area, and the upshot will be that no appreciable overall "correction" or "neutralisation" will appear to have taken place (you can blend the concealer over the "corrected" area out into the "normal" area with no problems, but the corrector should only go where it's needed). So, pat a tiny amount of a colour corrector only in the dark area, and then put a concealer over it. It's important not to use a highlighter as a concealer. The most common (and incorrect) consensus is that you can use a brightening product to lighten a dark area, however this is actually not correct. 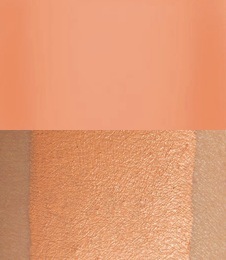 You first need to colour correct the underlying pigmentation in the dark area (hence at least a concealer and/or corrector) so that it's the same shade as the rest of your face, before you brighten that area - if you just apply a highlighter on its own, you'll actually only draw attention to a dark area, instead of camouflaging it. The standard "it's-not-a-concealer-it's-a-highlighter" that everyone mis-uses is YSL's Touche Eclat. This now comes in a number of shades and can be used as a final step, on top of your concealer, to brighten the overall area. Like the foundation you use, your highlighter (eg MAC Prep & Prime, Bobbi Brown Tinted Eye Brightener, YSL Touche Eclat etc) will look best if it has the same undertone as your skin. You don't need to use a highlighter if you use a concealer approximately a half to one shade lighter than your skin. Either way, you need to be careful to avoid the so-called "raccoon" look where your under-eye area is too bright for the rest of your face. To avoid this, if you're going to highlight under your eyes, it's a good idea to highlight the centre panel of your face altogether, rather than just your eye area. First of all, you need to know what kind of dark circles that you have. The amazing Lisa Eldridge has some brilliant videos on the different types of under-eye darkness that you can have, and the reasons why, and what you can do to help treat them (see here for dark circles and here for puffiness). These videos may at least help you to better understand your own under-eye issues, and preventative measures you can take to help treat them, or at least minimise them. In order to disguise them, however, you need to know what corrector to apply to neutralise them before your concealer. In a nutshell, dark circles can be purple/blue or grey/green/brown based. If you have blue/purple-based dark circles, mainly paler skin types, mainly caused by leaky or broken capillaries; you will find that salmon/peach-based correctors work best, followed by a concealer in your skin tone or slightly lighter on top. The best corrector I've found is actually an Illamasqua Cream Pigment in Emerge (peach), but there are many others e.g Laura Mercier Perfecter, Bobbi Brown correctors, etc. If you have brown/green/grey-based dark circles, mainly darker skin types, mainly caused by hyper-pigmentation; you'll find that mauve or rose-based correctors may work best for you, followed by a concealer in your skin tone or slightly lighter. The best one I've found here is the Illamasqua Cream Pigment in Delirium (Rose Taupe), but this won't work on very dark skins. 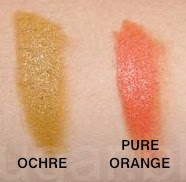 For very dark skin tones, very often your dark circles are brown/grey-based, and will probably find that an ochre or orange coloured corrector works best for you, for example MAC (Pro range) Studio Finish corrector in Ochre or Pure Orange (image from Karla Sugar's site), or a great option for darker skins is one of the Bobbi Brown correctors. Note also that there's a vein close to your skin by your inner eye corner which usually appears a bit blue (or possibly green). You need to conceal/correct this, even if you don't have dark circles. For the majority of Caucasians, you'll find that if the vein appears blue, use a light peach-based corrector first, followed by a concealer in your skin tone. 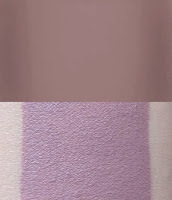 If you find that the vein appears more green-toned, then use a mauve corrector first. If you're not sure whether your dark circles have a blue/purple or grey/brown cast to them, you can either have yourself checked-out by a sales assistant at a makeup counter OR you can first try this out yourself at home: get yourself something peachy-based and matte (eg a blusher or eyeshadow) and try this on one dark circle, then on the other side of your face, use a more mauve-toned product. Take a look in the mirror and see which one makes your dark circles look worse. This is obviously then not the one to use! Very often people will have an area of redness directly under their lash line, or at the outside corner of their eyes. If you have this redness around your under-eye, depending on how bad it is, you may need to use a yellow-toned corrector first, then a concealer, or if it's not very bad, often a yellow-toned concealer will work just fine on its own (eg MAC NC concealers are yellow toned - see here for more information on the MAC concealers available). To apply concealers/correctors, use your ring finger or a flat concealer brush to pat it in, or you can use a fluffy blending brush for more thick products (eg concealer sticks/pencils or very full-coverage creamy concealers). Just be careful not to pull and drag around your eye area. I will blog later about my recommendations for concealer brushes. It's also a good idea to set your concealed area with a light dusting of (translucent) face powder, but remember to get rid of any creasing first by blending away with your finger or brush, otherwise you'll just set the creases in place. If you're using a micro-fine HD loose powder, make 100% certain to buff and blend this into your skin, as it will cause your under-eye areas look white from camera flash.